Sleep-Tox complex purifies skin while you are sleeping. Purifying stressed skin condition, so to experience clean skin in the morning. Intensive moisturizing with [Moisture Wrap]. Build moisture layer full of hydro ion mineral water, evening primrose extract, apricot extract, and other moisturizing active ingredients. Rose, Sandal Wood, Orange Flower, Ylang Ylang. I really liked it because it was so moisturizing. I would use it like twice a week after exfoliation or whenever my skin looked stressed. I wouldn’t notice the difference in terms of if it calmed it down. Smells excellent. Light peach fragrance. Excellent texture that’s cool to touch more like a gel-like cream consistency. Five stars! I initially used this on my boyfriend who was looking for a night cream since he ran out of his fave Olay. Now, I don’t even have to remind him to slather it on his face since the consistency isn’t too thick and the scent is mild. Besides i really love the smell and the consistency! The smell is nice and not too strong. I bought a 70ml pack, applied 2 times/week, medium amount/appliance, and it’s enough for 3 months. Provides good moisture and the texture is thin enough that it doesn’t make your face sticky. You don’t have to worry about it getting all over your pillow while you sleep because it sinks into the skin very quickly. The floral fragrance, however, is too strong for me and started to irritate my skin. If you have normal, unsensitive skin, then this might be a very good product to use if you want some moisture. This is definitely my holy grail sleeping mask. I’ve gifted it to all my family and they’ve all loved it. It works for all skin types and especially for my oily prone skin, it doesn’t feel too heavy and thick. It doesn’t make me more oily in the morning and my skin feels and looks refreshed. I also love how soft and firm it makes the skin. Right after I apply, I can’t help but touch my face constantly because it feels amazing. I usually apply this a couple times a week (more if my skin is more dry) as the last step in my skincare routine. This is usually after my moisturiser or in place of it. Quick absorption, I use it as night cream, works well so far. 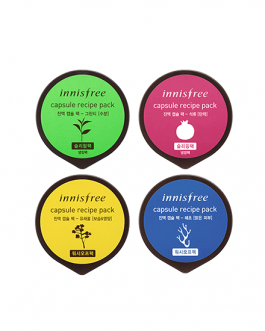 I love the scent of this Pack, and how it revitalizes my skin. I wake up looking like I got a fantastic nights sleep. I also love how it keeps my skin hydrated and moist. this is perfect for those harsh winter months as it leaves your skin bright and moisturised. Really love this mask! It’s so cooling and refreshing and smells really nice. My skin feels a lot softer and moisturised in the morning after leaving it on overnight. I also have pretty sensitive skin that gets quite dry due to eczema but the mask actually helped to keep the moisture locked in. Recommend this!! This is easily one of my favorite skin care product! My face looks amazing in the morning after applying this product at night and you don’t even need that much! I usually have really oily skin after using a moisturizer for an extended period of time but this product not only moisturizes my skin, but leaves it looking flawless and matte. This is a great product, I just brought my second jar. 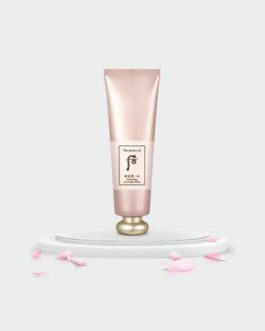 I usually lean towards anti-aging products but this one is so beautiful I couldn’t resist, so before my first jar was empty I already brought another one. Even when I sleep little and I’m tired in the morning my face doesn’t show it, and I love it. I’m not giving it 5 stars because after awhile it stopped providing this fabulous effect and only gave me hydration. I don’t know if it depends on the way I keep it (in the fridge) or because the jar and the exposition of the product to air destroyes part of the good ingredients of this mask. I still decided to give it another go because this mask is the one that gave me the most benefits right after the first application. This is a perfect product for people with dry skin! It has a jelly- like texture and has a cooling effect. Very hydrating and a perfect mask for hot summer days (soothes sunburned skin). The scent is very refreshing and not too overpowering, an overall great product! The texture is a bit gel-like and very cooling on the skin. This stuff is AMAZING! After I apply this, I always wake up with very hydrated, plump skin. I highly recommend this to everyone! I actually repurchased this, which I normally never do with skincare! My holy grail skincare product, this makes such a difference with just using it once. It’s a bit on the expensive side for me so I don’t use it too often, but when I have a special event coming up or my skin isn’t looking too good I apply it in the evening on top of all my regular skincare and in the morning I wake up with a glowing, smooth and supple face. This product is soooo moisturizing. It feels like it’ll never absorb into your skin after initial application but after you sleep, your skin feels very soft and looks radiant. I feel like my makeup the next morning also goes on a lot better. The only downside for me was that my skin got used to it and it stopped working as well. All in all really good product for those days when your skin is extra tired. I’m an avid beauty enthusiast, so any time a product is highly raved about in the beauty community, it’s on my wishlist. I’ve had it on my wishlist for a few years now, and I finally purchased this item recently, and it’s definitely lived up to it’s expectations. The only gripe I have is that it leaves a sticky feeling to the face, but it leaves my skin feeling incredibly smooth and supple the next morning, that it’s completely forgivable. I live by masks; and probably have 6-7 masks in rotation, so this only makes it into my regime when my skin is feeling extra dehydrated. I just make to sure apply right before going to sleep due to the stickiness. Definitely a skincare product that I will be repurchasing when I hit the bottom of my jar. I really love this product. I used this few times in a week.After i apply this, next morning my face looks visibly brighten, hydrate and radiant. My face looks like i just gone for a facial spa. Love it love it. This product is really good. It leaves my face really moisturized and smooth the next day. The scent is light. I use this every day. However, since I am using it everyday, I feel it is rather expensive. So, where to begin. I saw this sleeping mask all over the internet so naturally I had to try it. It is kind of cheap next too high end Korean products but next to products of the same range it can be a bit expensive. But it is so worth the try. I can’t even explain how much I love this mask. The texture, the fragrance, the efficiency, the packaging… EVERYTHING is perfect. This is my final step of my skincare night routine and everyday I am waiting for the moment when I’ll be able to apply it. I tried to not put it every night but when I go to sleep without it I feel like I am missing something. The gel is so soothing, so fresh and cooling ! It does wonders on my skin. When I wake up the next morning, my face is bright and full of energy. It’s also a bit sticky but once you washed it, it feels so soft. And the most important, while hydrating and moisturizing my dry skin it does not make my skin break out. I did not find for the moment a better sleeping pack for my skin. I feel like there might exist better one but I have already decided that I will buy another jar when mine will be finished. This mask has a nice feeling to it when putting it on my face, and absorbs good. It feels cooling and soothing and moisturizes. But I really didn´t notice any difference from other masks, or even from wearing only a night cream. It lasts quite long, I´ve had mine for 4 months, but haven´t used it frequently because I didn’t find it made a difference. Maybe I´ll use it more often before I´m out of it, after reading all theese raving reviews. my absolute favorite skin care product. its very light gel texture that provides great hydration. perfect for oily skin. I use this when im lazy and dont want to put a tonne of skincare. Haven’t started using this yet but hopefully is as good as everyone else says in the comments. I do have combination skin, and I bought it a long time ago thought it was too oily for me. Hopefully this would work for me during the F/W season to hydrate my skin and keep them smooth and radiant. I love this sleeping mask. I have oily skin with a few dry patches that get much worse in winter, and using this mask two or three times a week helps to keep my skin hydrated without being heavy. I really recommend it for oily/sensitive skin. Great for cold and dry New York City winters. I have combination skin, dry on cheeks and a little bit of oiliness on my nose area. The great thing about this is that it smells amazing, has a gel like texture and is lightweight while being very moisturizing. I’ve went through two jars of this in the past. 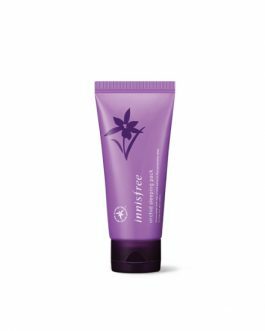 It feels very lightweight but it hydrates quite well and I wake up with soft skin. The reason I stopped purchasing it was because I wanted to try other items and although this was lightweight, it sometimes is not sufficient for the cold and dry winters we have in Canada. I love it so much. You can definitely feel how soft your skin is after just one use. Recommend it to everyone! One of the few masks that don’t make me break out. Very moisturising, absorbs fast and feels light on the skin. I think I prefer cosrx masks more which is the only reason I wouldn’t repurchase it. perfect mask! if you want perfect skin in the morning you have to use this mask! absorbs fast and hydrates super good! i fell in love!! Boyyy does it make my skin feel soft, plump and smooth!! I love this stuff it is amazing!! 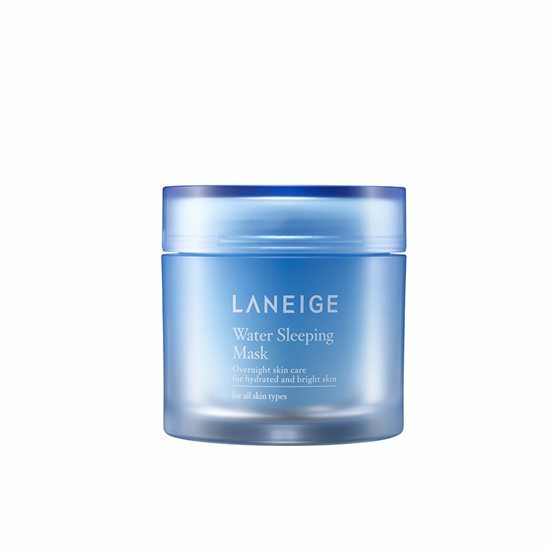 Now that I’ve tried it I get all the hype about this sleeping mask, it leaves my skin super hydrated, soft and plump! It’s a lightweight gel that gets absorbed into the skin, so don’t worry it will not stain your pillowcase. I use it about once a week and I see a huge difference in my skin. This is one of the korean skincare products you have to try, especially if you have dry/dehydrated skin. VERY moisturizing. In the morning after I use it, I wake up with soft and plump face, but it doesn’t clog my pores or break me out. The scent is delicate and pleasant. I’d definitely recommend. I’ve already been using this mask for a year, I got a lot of samples before and I finally bought the original size. This is really the best sleeping mask ever even for oily skin this is sooo good. its very light gel texture that provides great hydration. I like the packaging, texture is ok smell is not weird I like this product. and I thinkit works very well for skin and get observe very quickly. I looove it! Use it only once a week after exfoliating and my face stays hidratated and soft for days. Definitely recommend it especially if feel lazy doing your skincare routine that night. This product really is worth the hype, it sets really easily into the skin and locks in all of your prior skincare used. I find myself having brighter and smooth skin the next morning! definitely recommend! This product is sensitive and acne prone skin friendly since it didnt break me out. it has nice consistency and nice smell, but i found that it really didnt keep my face moisturized as others people mentioned or as much as i expect it to be. Out of all the things i ordered for my mom, she lked this one the best.She was really impressed with it and told me to try it out as well. I love. Pleasant smell, curing consistency. It is very easy to apply and spread over the face. The price is high, but the consumption is very economical, 75 ml. enough for a long time. The effect is visible even during application. The face is miraculously smoothed out. In the morning, the skin is even, moisturized and rested. This is the only sleeping mask that i swear by. I bought it after hearing so many good things about it on the beauty community. Glad that i did, when i start using it everyday, i have noticed a huge improvement on my skin: dry patches are gone, skin feels softer and moisture. It absorbed so well. Unfortunately i have ran out of it last month, will need to stock it up. A 70ml will last you around 4months for daily usage. This is a really good sleeping mask! You will feel the difference already the next morning! I like the texture and it improves my skin!